I am always looking for better ways to organize and store my craft supplies. So when my grandparents were helping me put up my shelves, my Grandmother & I came up with a great way to easily store my ribbon. Now I know exactly what I have just by looking. It doesn’t get unwound and messed up. It’s exactly what I needed! We started by adding a small piece of wood in order to make the hook hang low enough to allow the ribbon to hang properly. 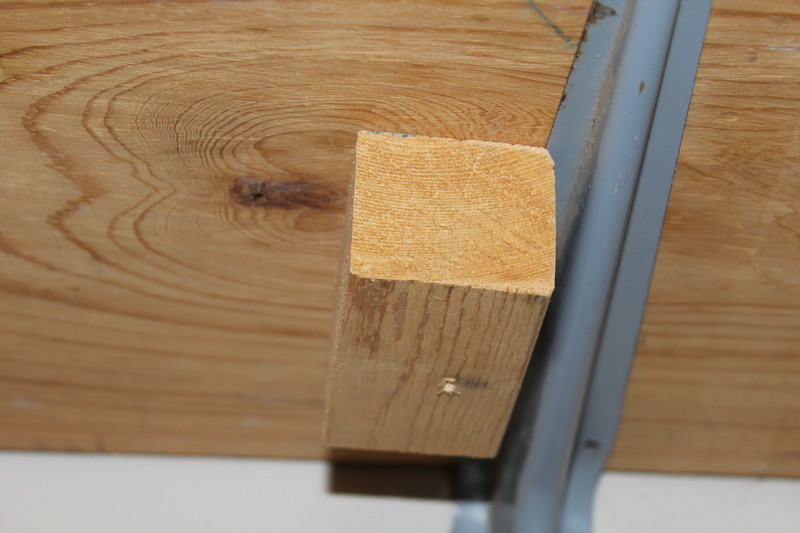 Use the drill and a screw to connect the small piece of wood. I needed 2 pieces of wood. But if yours is longer you will need to decide how many hooks you will need accordingly. Then add the hook into the piece of wood. 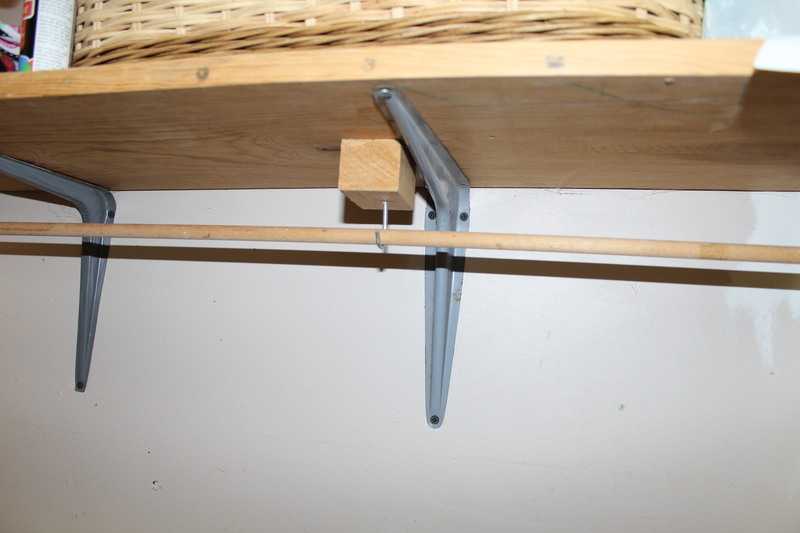 Now just add your dowel rod into the hooks. Done! Now it’s ready for your ribbon! This entry was posted in Organizing and tagged Craft Room, Craft Room Organization, Organization, Ribbon, Ribbon Storage.